Buy Chris Hall a Coffee. ko-fi.com/chrishallbeer - Ko-fi ❤️ Where creators get paid by fans, with a 'Buy Me a Coffee' button. I'm a freelance beer writer and beer judge. 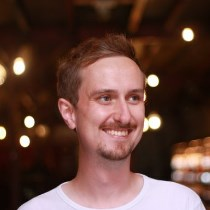 I've previously worked as Communications Manager for distributor and retailer The Bottle Shop; and in Sales, Media and Events for craft brewery Brew By Numbers. I'm a UK contributor to Good Beer Hunting, and co-authored Future Publishing's 'Craft Beer: 365 Best Beers in The World' and 'Craft Beer: 100 Best Breweries in The World'. My blog is at https://chrishallbeer.com. I accept freelance writing commissions and have judged at global beer competitions including the World Beer Awards and the International Beer Challenge. Just when you thought it couldn't get any worse, I've also recently started to learn more about cheesemaking and photography. Any donations received on here go towards supporting my freelance writing and events work. Secured Payments. Support goes to Chris Hall's account. Upgrade Chris Hall to a yearly Gold Membership with a one-time payment.